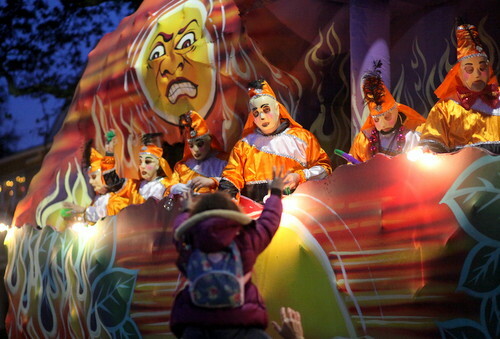 Saturday’s parade were moved up, with their start times an hour earlier, because of a threat of storms today. On Friday, the National Weather Service was predicting a cloudy day with a 50 percent chance of rain, a high near 81 and potential wind gusts as high as 25 mph. The predicted rainfall amounts were reduced to less than a tenth of an inch, but could go higher if thunderstorms occur. 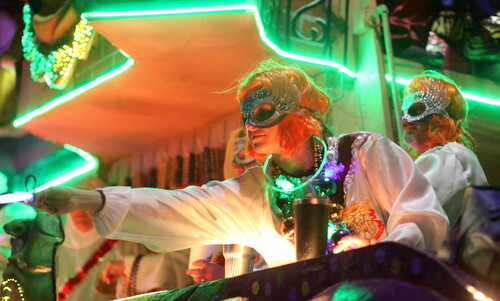 The Krewe of Pontchartrain dates back to 1975. It celebrates marine life in its name, for Lake Pontchartrain, and some of its floats, such as “Mr. Mudbug,” the world’s largest crawfish, and “The Super Grouper,” a giant fish. Past grand marshals have included Allen Toussaint, Red Buttons, Bart Simpson, Irma Thomas, Jim Henderson and Becky Allen. 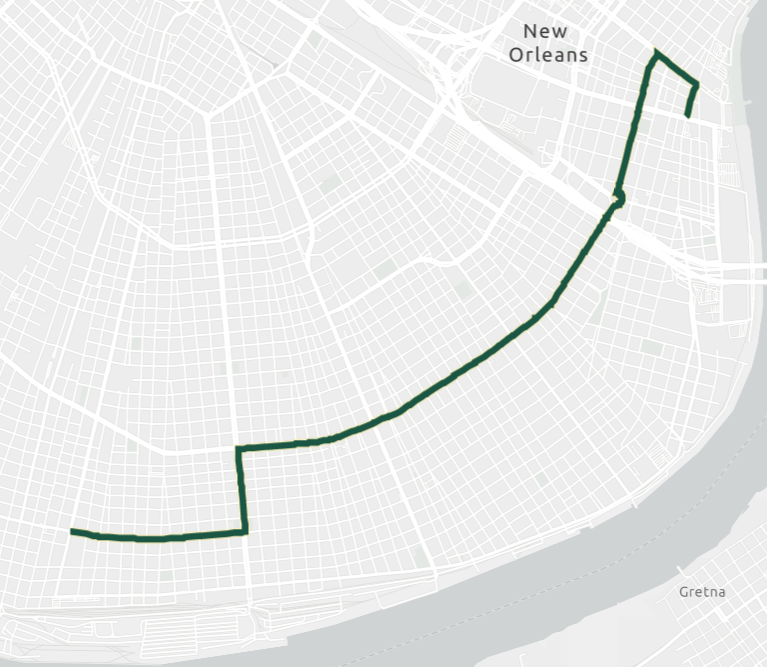 It rolls up Napoleon to St. Charles, then all the way to Canal Street, where it turns right. It rolls up Napoleon to St. Charles Avenue. At Canal Street, it turns right. Freret was formed in 2011 by seven Loyola University graduates who sought to create a parade favoring local vendors and craftspeople. It eschews imported beads and trinkets in favor of hand-crafted and locally made throws, including the signature hand-decorated mask. Also look for one of the year’s special throws: a yellow NFL penalty flag. 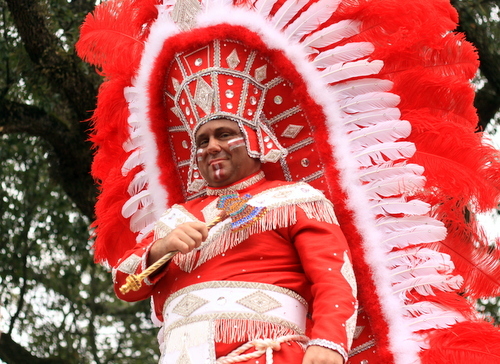 The theme for 2019 is “The World Is Your Oyster.” Dancing Man 504 leads the parade every year. The Knights of Sparta originated as a bal masque organization in 1951, staging elaborate tableaus for many years at the Municipal Auditorium. In 1981, the Knights began parading. A mule-drawn king’s float, traditional flambeaux and mounted officers are just a few of the features of the Knights of Sparta street parade. 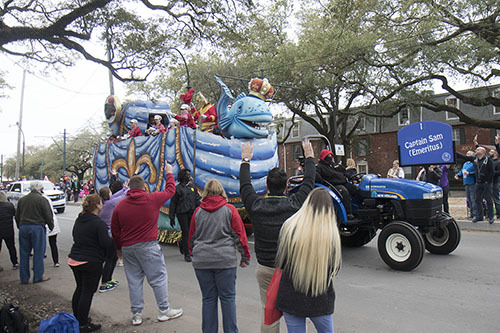 Sparta’s theme for 2019 is “Beyond the Sea.” Watch for the krewe’s top-secret mystery throw. The parade takes a right on Magazine Street, then a left on Napoleon Avenue, before turning right on St. Charles Avenue. 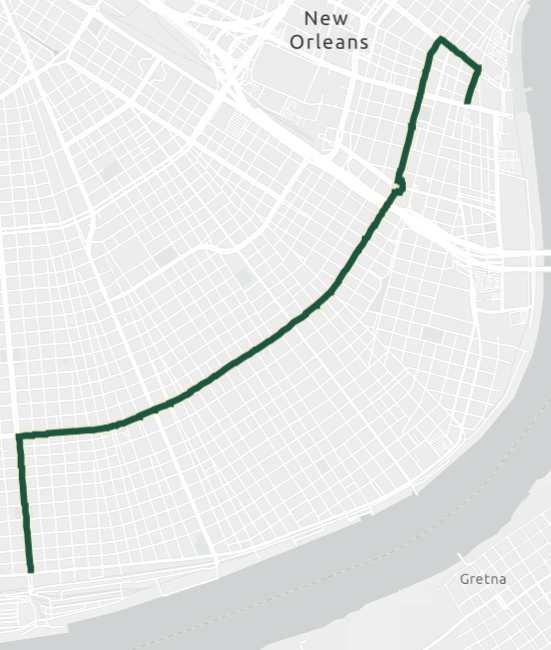 For updates, see the city’s parade tracker. 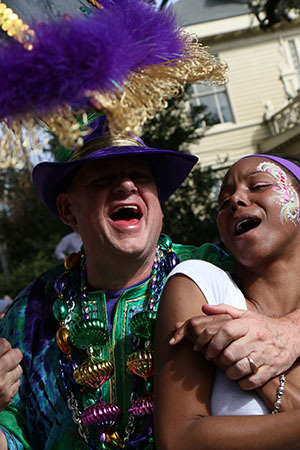 For need-to-know parade day information, see here. For parking and transportation information, see here.